Editor’s Note: This is the third in a series about marketing to the LGBTQ community. A massive cultural shift is underway driven by conversations around inclusivity and diversity—along with the #MeToo movement—that has had a major impact on marketers, not only on how they connect with the LGBTQ community, but internally on how they treat LGBTQ employees from a sexual orientation and gender identity standpoint. Many large companies like T-Mobile, TD Bank and Stoli Vodka have, for decades, outwardly supported the LGBTQ community supporting events and programs and including the community in mainstream—and LGBT specific—marketing. These companies also have established employee diversity and inclusion programs, as well as benefits for LGBTQ people. LGBTQ people look for and understand which companies show true authenticity toward them and will reward them with fierce loyalty and brand activism. “There’s a really interesting relationship between marketing and this shift actually happening because organizations large and small are really starting to see the opportunity that is in front of them to market externally to the LGBT community,” Jenn Grace, LGBTQ business strategist at Jenn T. Grace International says. The size of the LGBTQ community is estimated to be 4.5 percent of the U.S. population with massive buying power of $917 billion in 2017, up from $884 billion in 2014. Brands like Honey Maid, Allstate Insurance, Cheerios and Campbell Soup have all led the way featuring gay couples in their marketing—and managing any backlash—making it more likely that others will follow suit. Even so, there are still bumps in the road, hushed conversations at planning tables and fear that releasing, say an ad showing two gay men, would endear the brand to LGBTQ people, but perhaps turn off an even a larger portion of its customer base. You don’t have to do all or nothing. This doesn’t mean taking out a full-page ad in Forbes or setting up a booth at World Pride in June in New York City. Step into the conversation from where you’re based or have a large footprint. 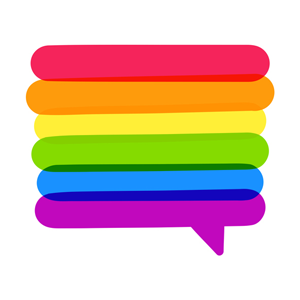 Identify local organizations specific to gay and lesbians to begin to get involved. This will not only show your support for the community, but will help you learn more about the target audience. “That’s a great baby step. It’s a safe space,” Grace says. “That organization is going to want to support your company. Sometimes it just takes going in and asking, ‘what local non-profits or organizations can we get involved in? What can we have our employees do that is helping give back to the community? And then do it. If you’ve mastered the baby steps it might be time to take out a booth at a local Pride event where you can show your support for the community, a space where people can learn more about your brand and you can sign up new customers. You’ll make a statement and it’s not going to trickle down to your entire customer base. Conduct a debrief. Understand what the feedback was. Were people shocked? Surprised it took so long for your brand to get there? Were people annoyed? This all helps strategize your next effort. You may discover great success or perhaps it’s not the right fit. “That’s where you want to weigh the pros and cons and does this make sense for our particular business. In some cases it might not. Trying to force it is only going do more damage to the company’s brand and make the community even more skeptical of them,” Grace says. Marketers who are not astute to the nuances of the community may, in some cases, serve advertising and marketing specifically to LGBTQ but then silo it in LGBTQ specific websites, publications and media channels instead of incorporating the community into mainstream marketing. “They think they are doing a good job and doing something good, but it’s not inclusive in a broad sense of the word,” and that’s clear to the community, she says. “It’s not to say you can’t do both, but oftentimes organizations are just dipping their toe in water. But what they’re really doing is sending a broader message to the community that they don’t feel comfortable enough to actually include LGBT people as part of their mainstream advertising. So from a marketing standpoint, the most important thing to do is simply to include LGBT people as part of the bigger marketing strategy. Another nuance that may be missed is around the letter Q in LGBTQ. It stands for the word “queer,” which has been around for decades, but early usages were considered derogatory toward LGBTQ people. “There was noting positive about that word,” Grace says. But now, the word is embraced by the younger generation. Younger people, primarily between the ages of 18 and 36, are now more likely to identify as LGBTQ younger in life than those 65 and older. So for example, if AARP, which serves older Americans, used the word queer in its marketing “ that would be the kiss of death, because you have no idea how people for people over 40 feel about that word,” she says. Companies that want to start marketing to the community need to look internally. What do the employment policies look like? How are you treating your employees? What type of benefits are you offering? Many in the community rely on the Corporate Equality Index Buying Guide that reviews and rates companies on workplace policies toward LGBTQ employees to determine which brands they will buy from. “It’s very easy to look at the guide and say, ‘I need pet supplies, do I go to company A or company B? It’s very simple math for a lot of people,” Grace says.